If black is your go-to color, then Drake's first October's Very Own collection for women is one for you. The line full of separates does offer a minimal amount of gold trim to the designs, but the capsule collection pretty much just sticks to the one dark hue. I guess Drake took the saying "black is the new black" a little too seriously. Similar to OVO's men's line, the capsule collection for women sticks to the basics. 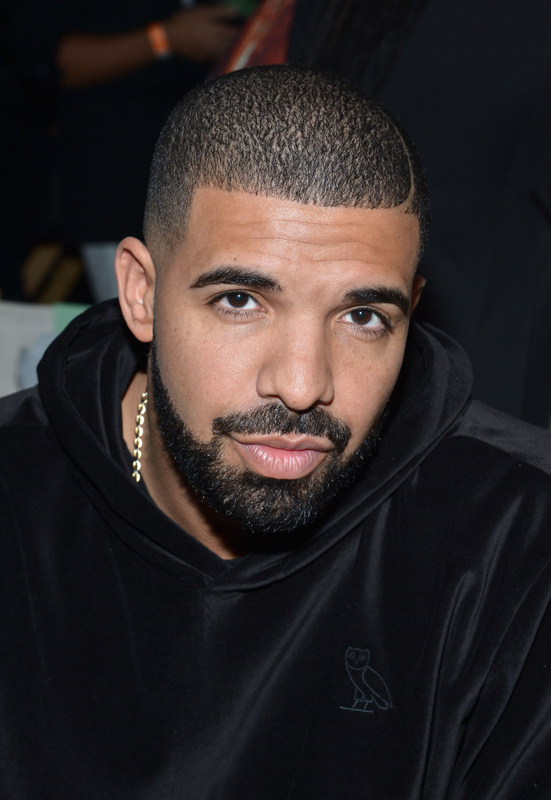 With sweatpants, tops, and sweatshirts all in the same jet black, there isn't anything flashy about Drake's creations. Aside from the simple separates, his bomber jacket is the only piece that has a little bit of shine to it, but that doesn't mean the line should be ruled out. It's actually pretty cool! At first glance you might just see a lot of black clothing, but take a closer look and you'll start to see that this line is all about the details, with gold trim, the OVO logo, and cool stitching adding interest. The line stays true to its simplistic routes, but the cropped sweatshirts and tie-up fronts give the clothing a little extra something. Sure, it might be a little much to have the entire line hanging in your closet, but if you're looking for a comfy way to still look cool, Drake's got you covered. The lace-up top was everywhere this summer, and I love this comfy play on the trend. This line is clearly all about comfort with minimalist style, just like the OVO men's line. This is as much color as you'll see out of the line. Think of it as the '90s track suit coming back to life. If you thought it couldn't get an comfier, think again. Drake also incorporated leggings, because is there anything better? The capsule collection also offers some accessories like this hat and jacket. The collection will be hitting the Toronto flagship store on Saturday, but it will also be available online on November 28th, according to Racked.